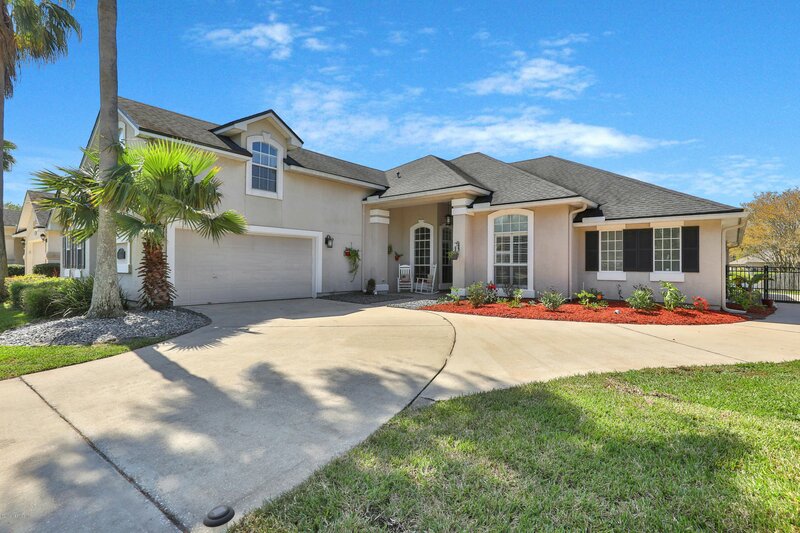 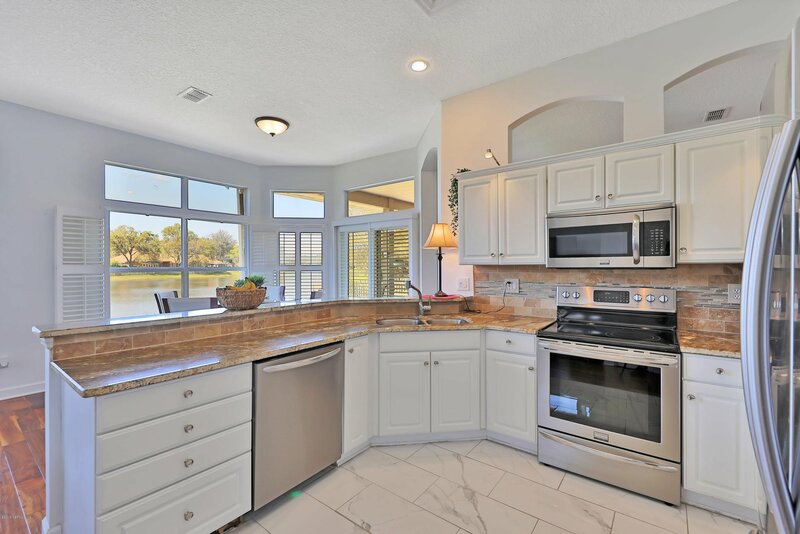 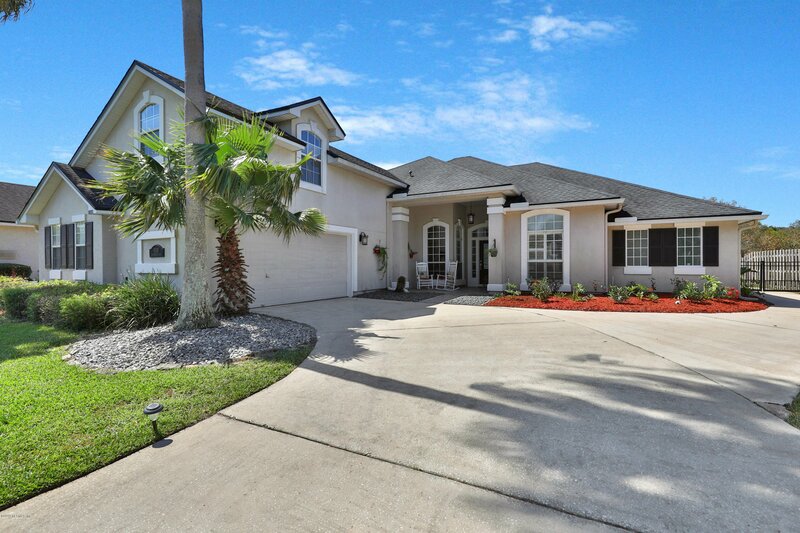 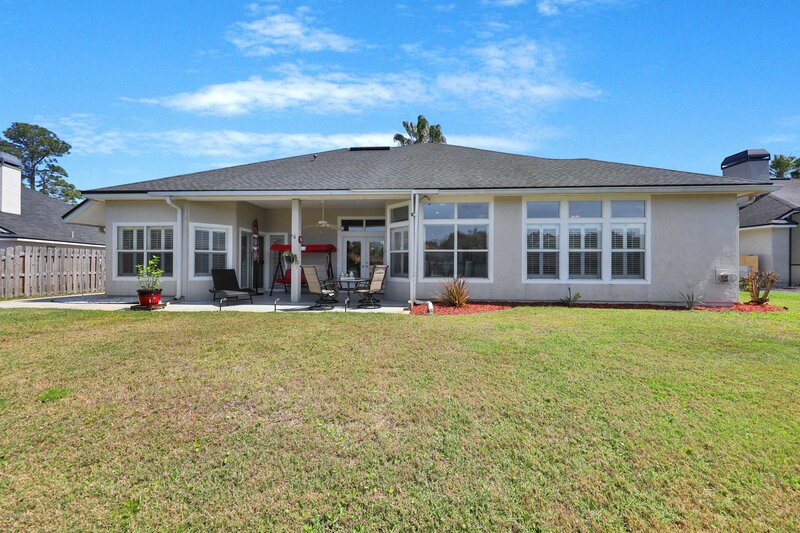 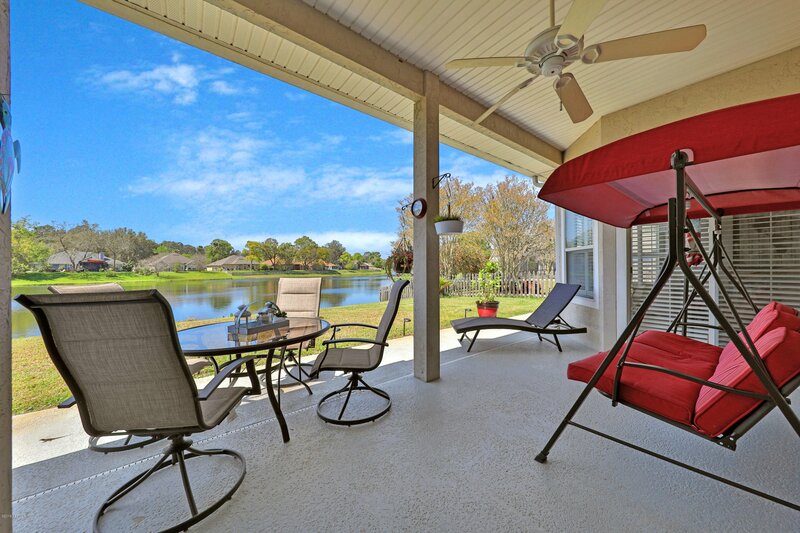 Wonderful lake-front home located in desirable Julington Creek! 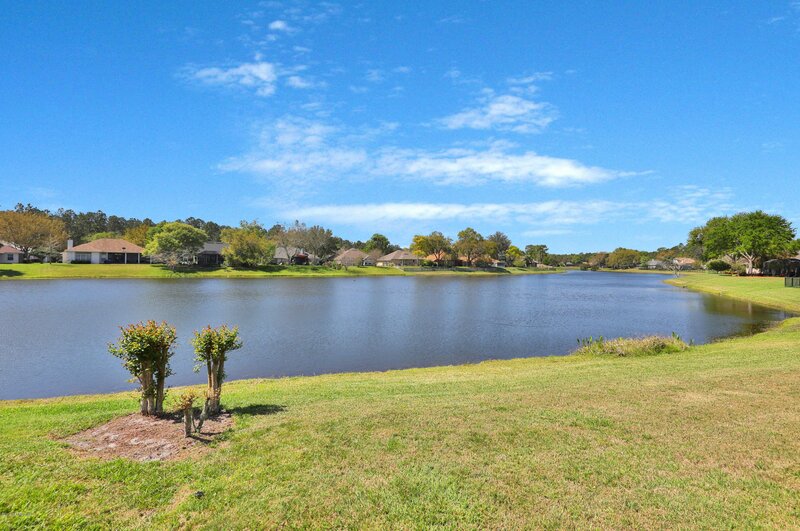 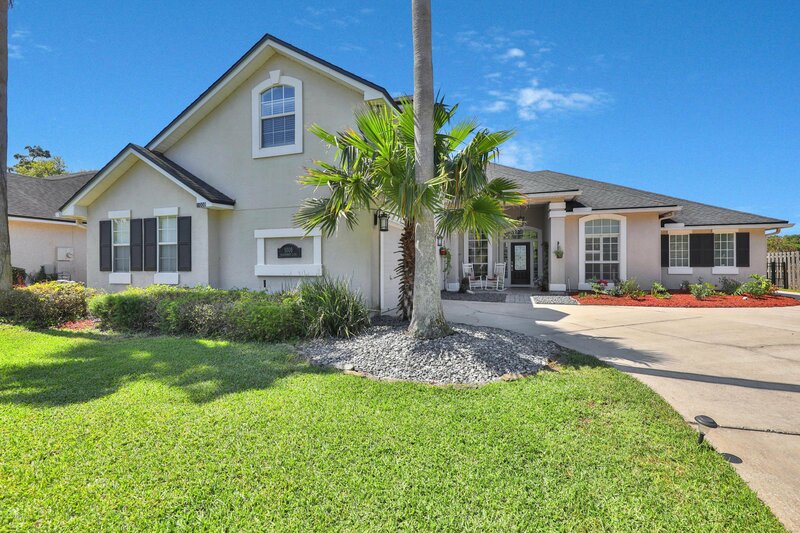 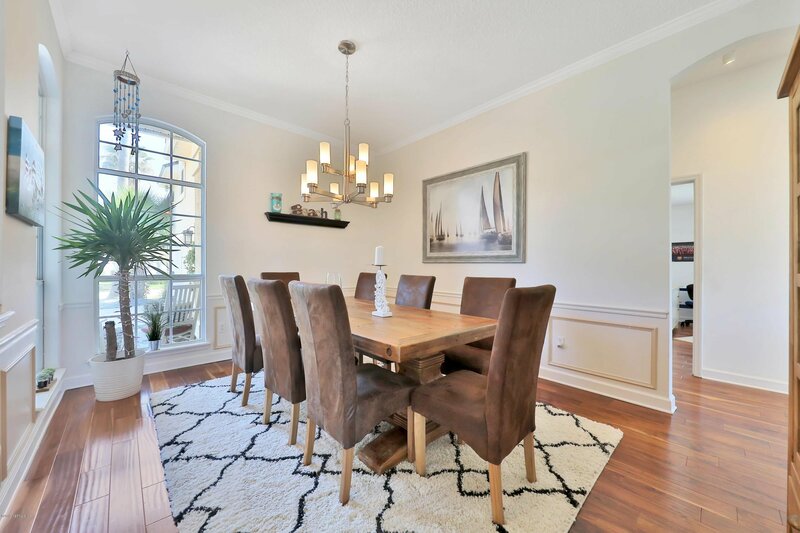 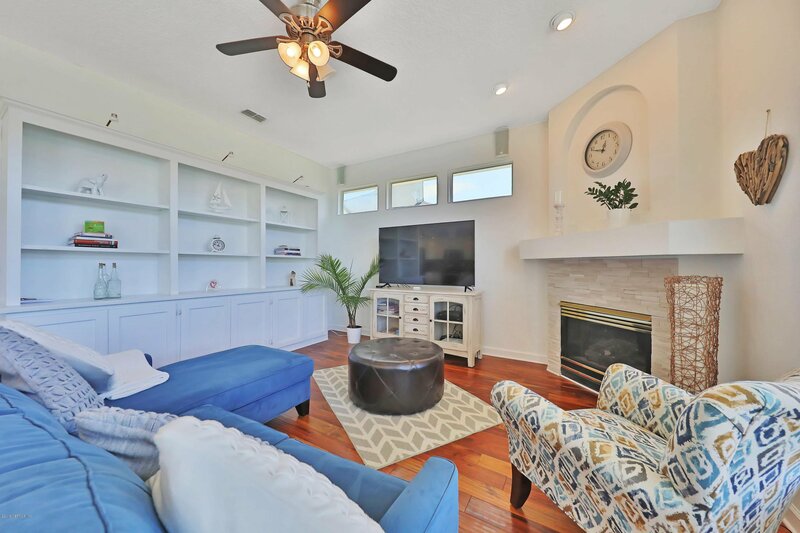 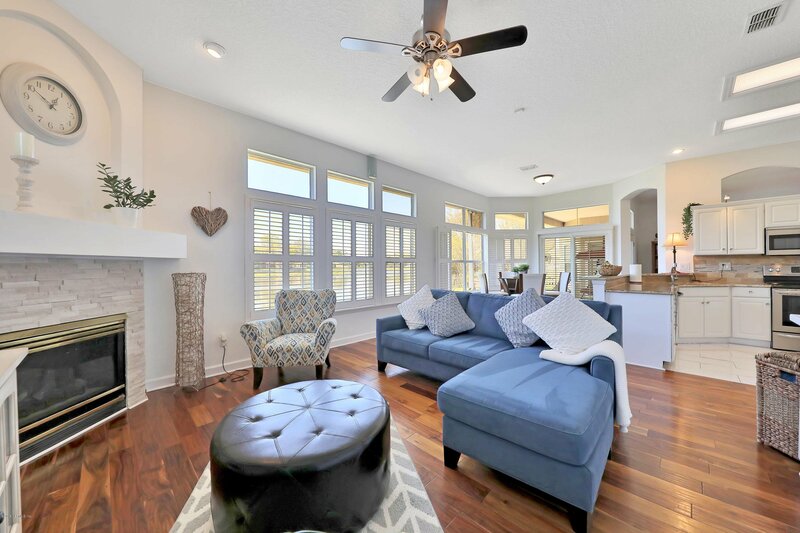 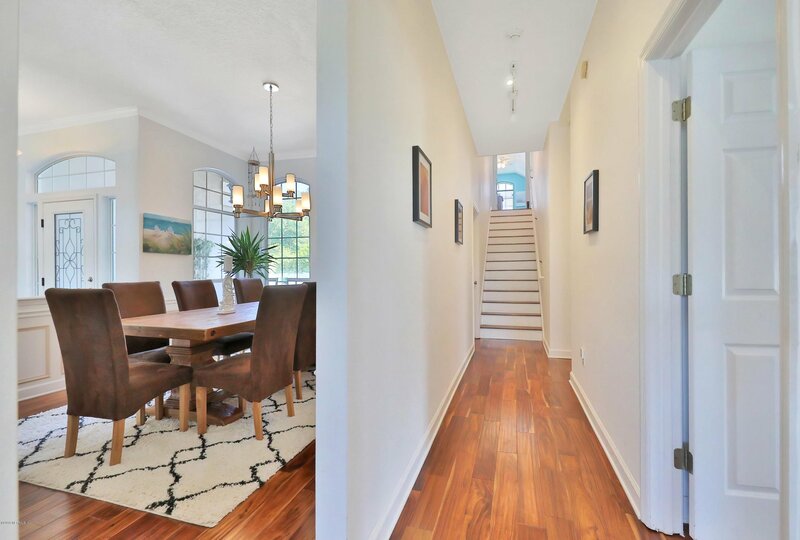 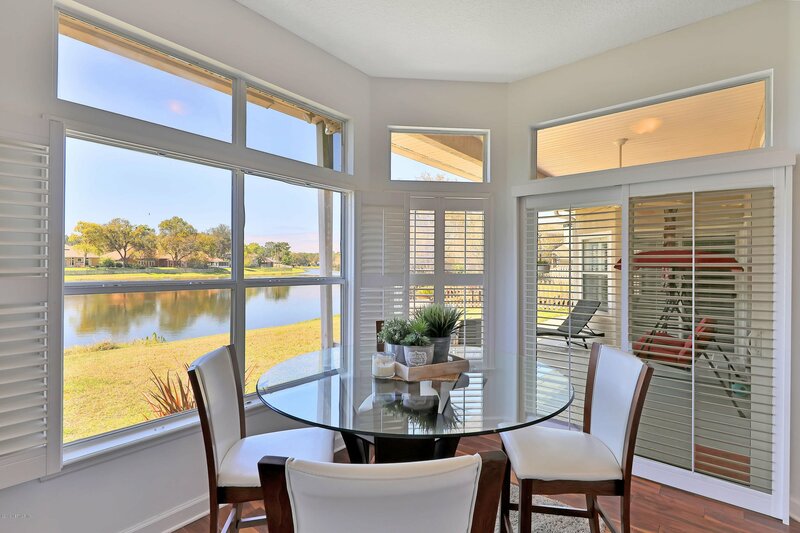 This 4/3 home has a spacious floor plan and a private backyard perfect for entertaining or relaxing while enjoying the pond views. 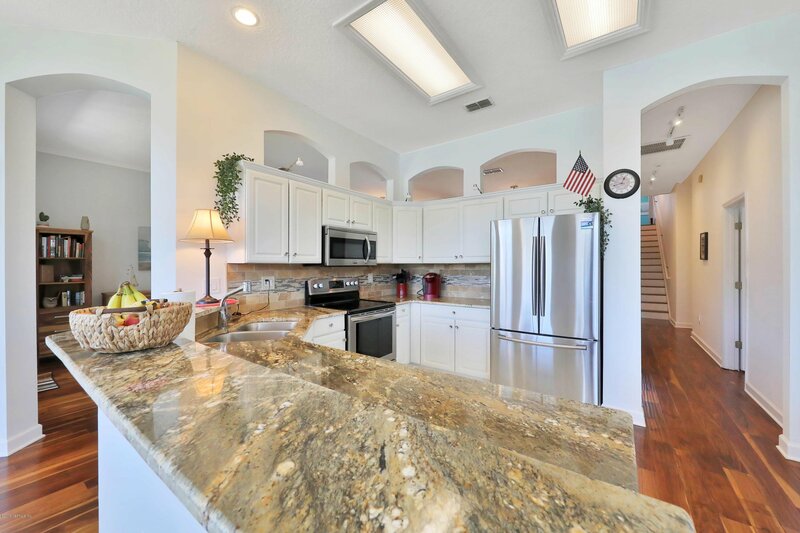 Granite kitchen with marble floors open to the family room. 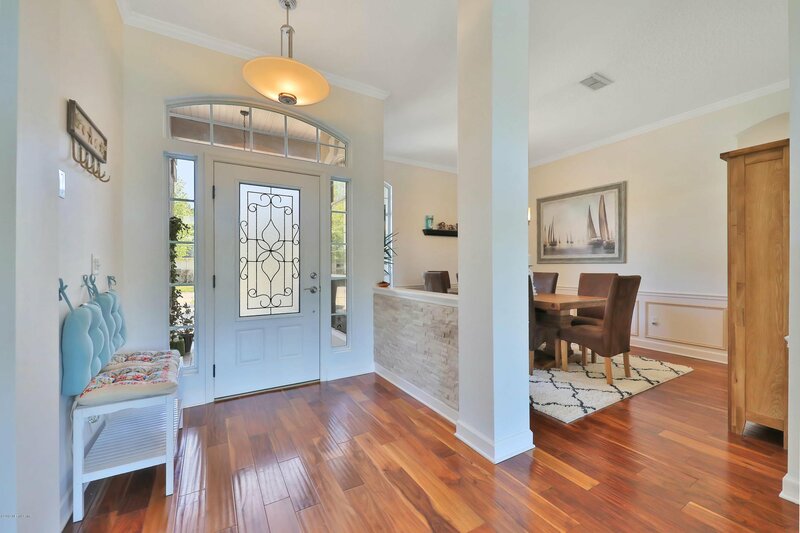 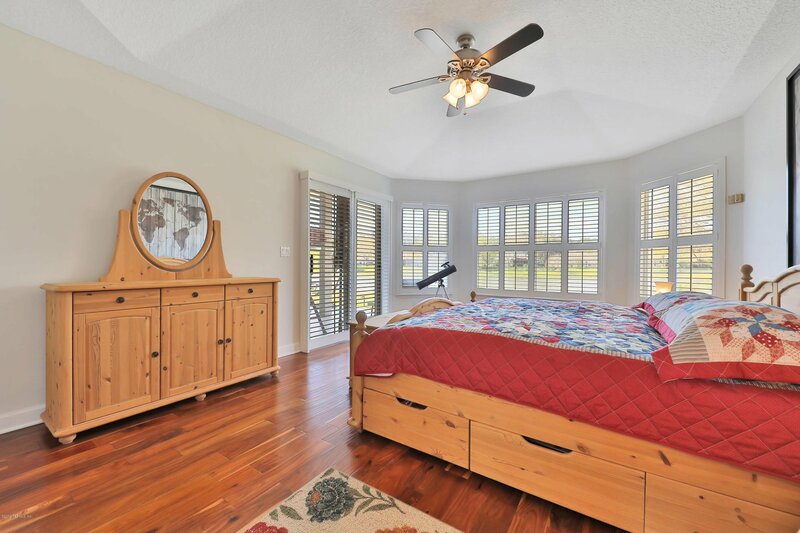 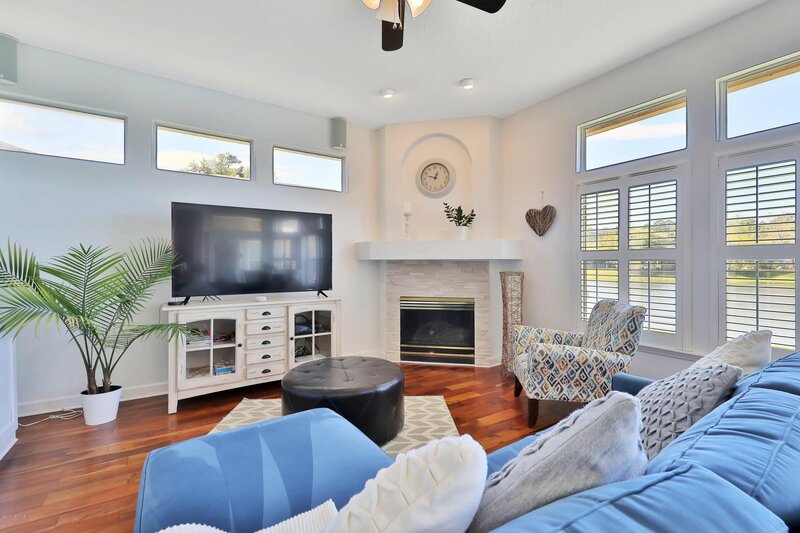 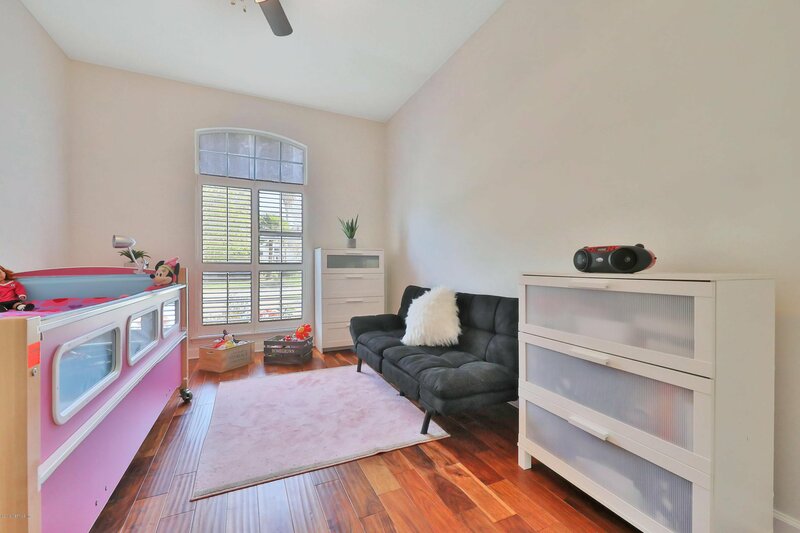 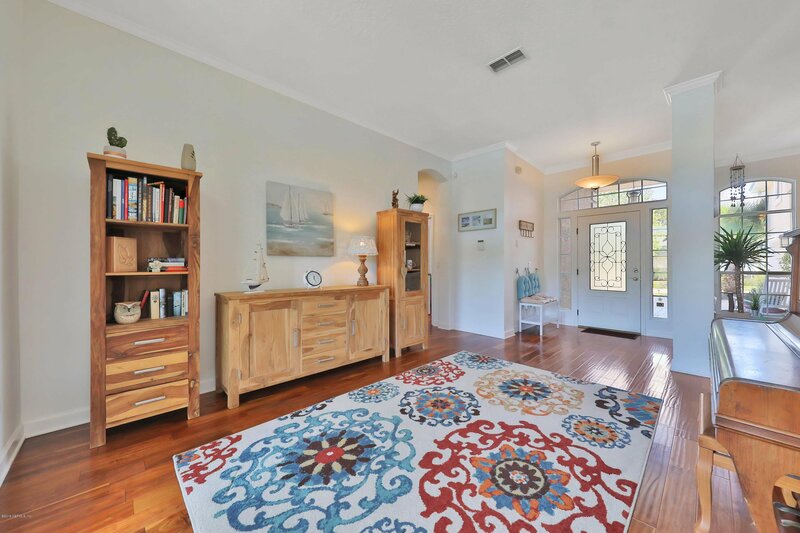 Wood floors throughout the home, with designer touches including built-in bookcases, custom plantation shutters and tray ceilings. 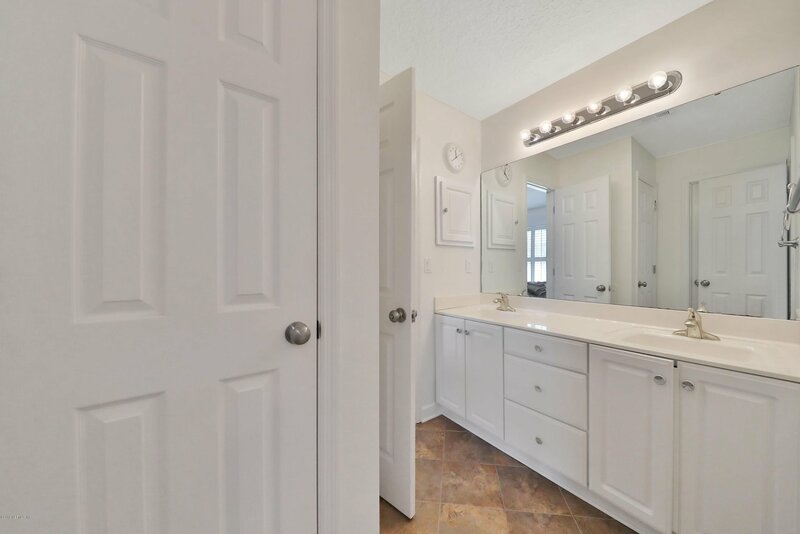 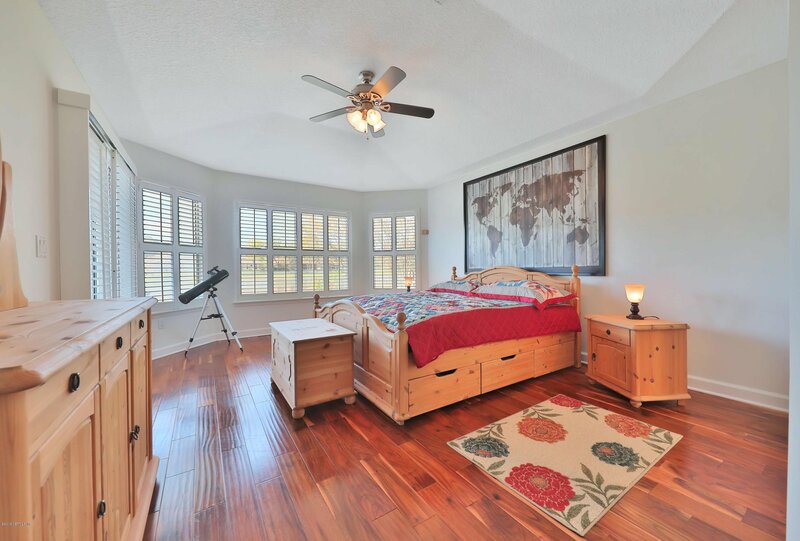 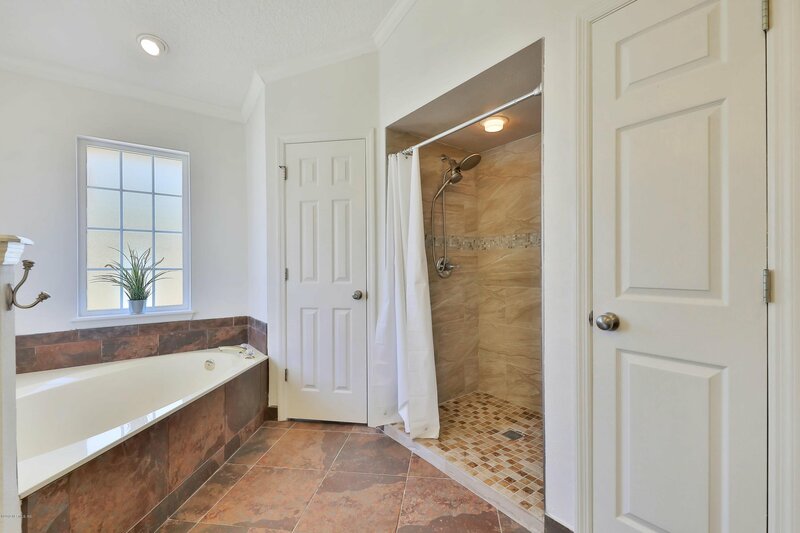 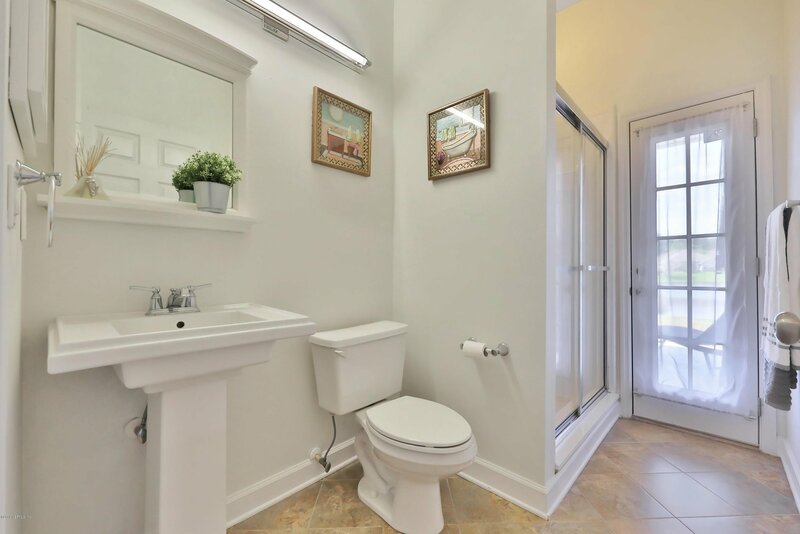 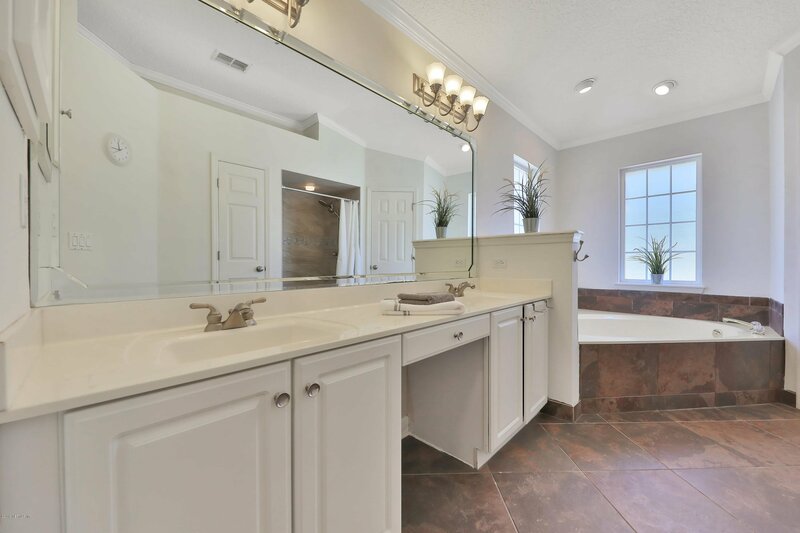 Large master suite with sitting area and spacious master bath. 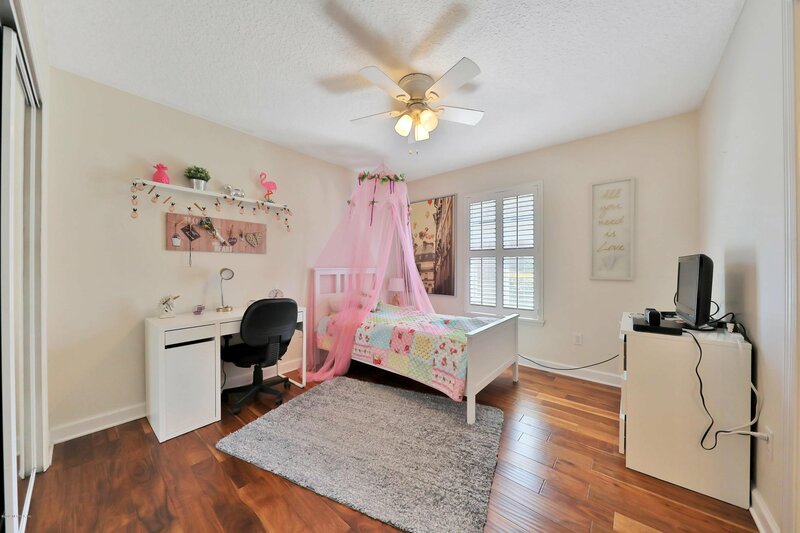 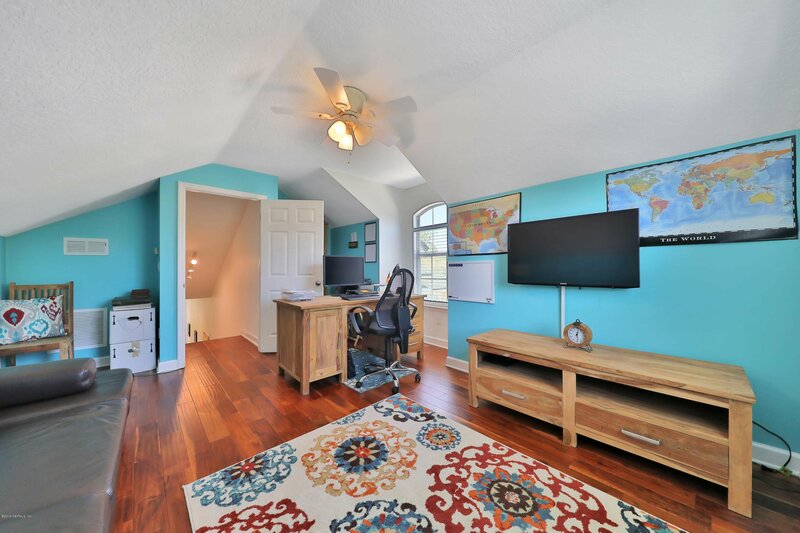 Bonus room upstairs offers a flex space for an office, media room or game room. 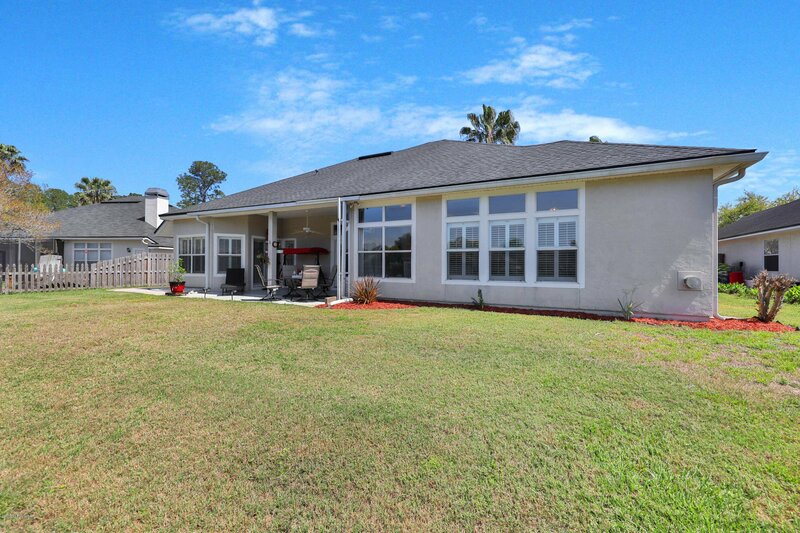 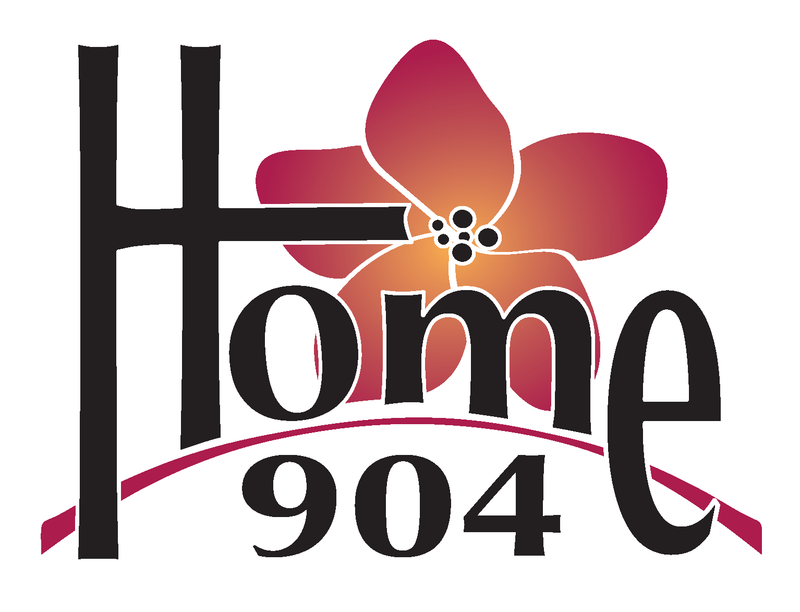 Extremely well-maintained home roof replaced in 2013, AC updated in 2016 and water treatment system added in 2017. 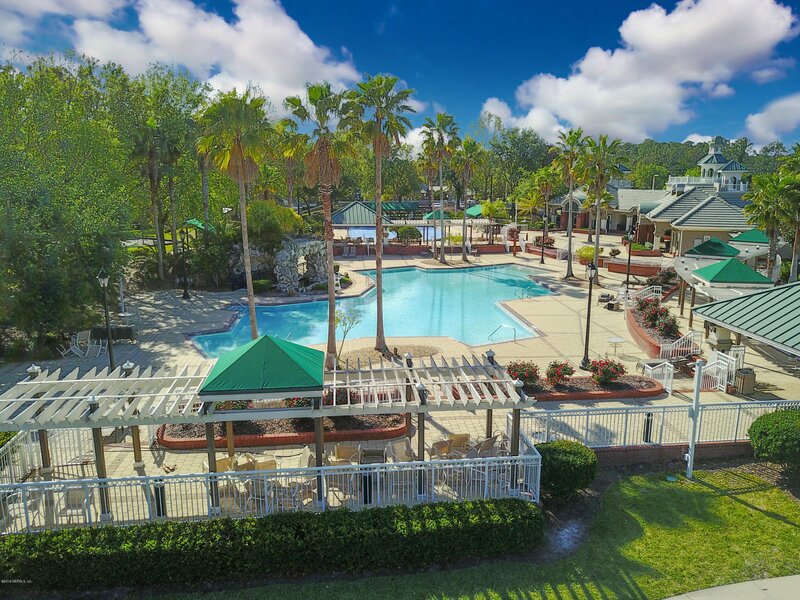 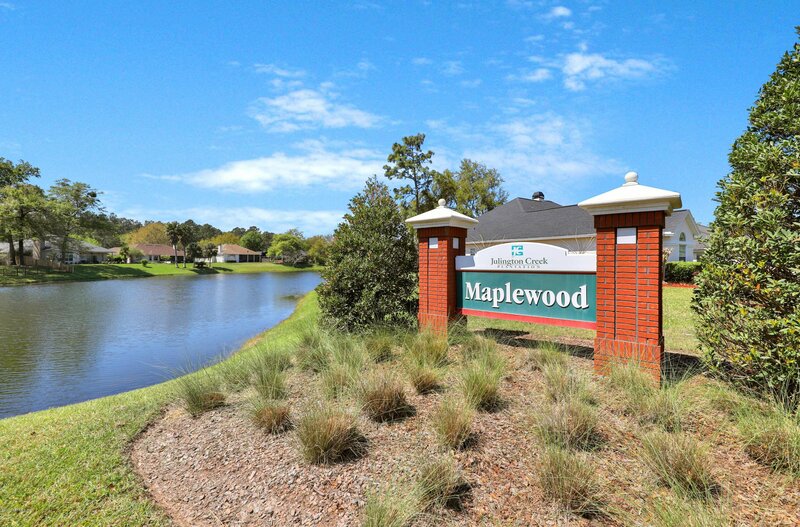 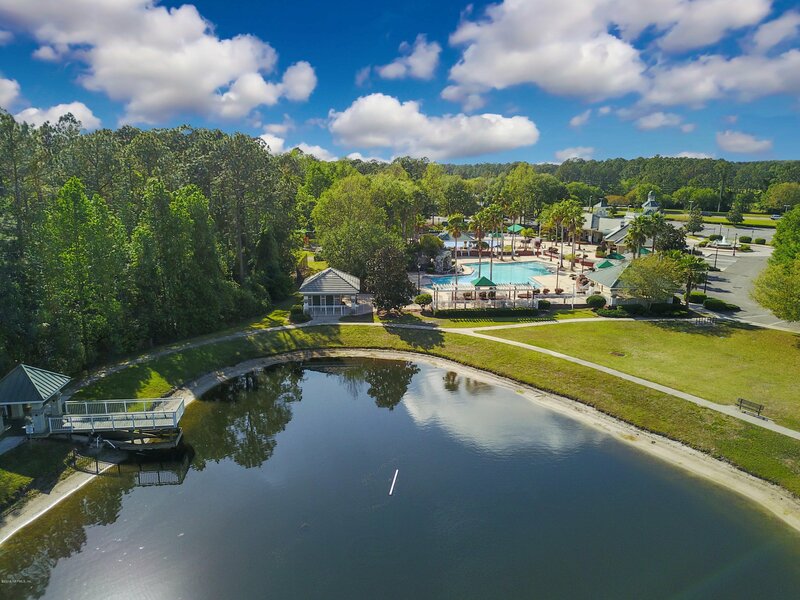 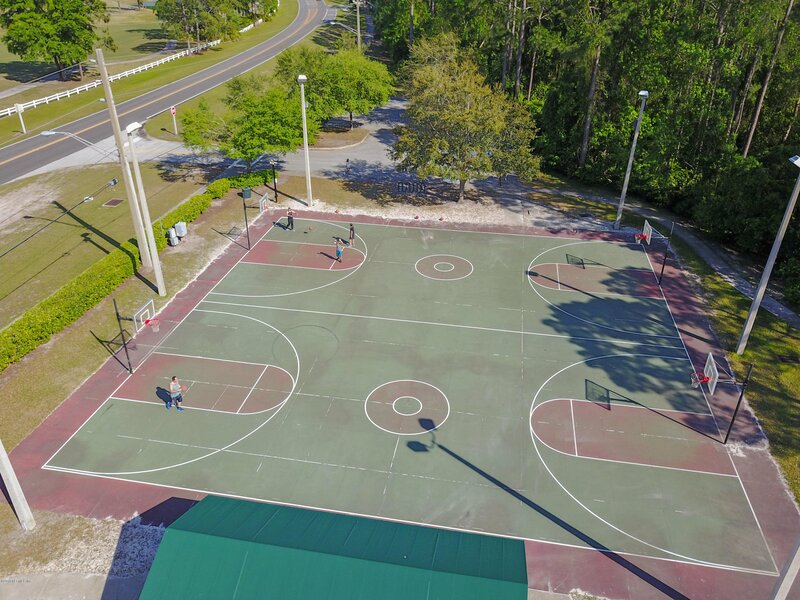 Community amenities include walking/ jogging trails, 2 amenity complexes with multiple pools, tennis courts, skate park, full fitness center, meeting space and cafe. 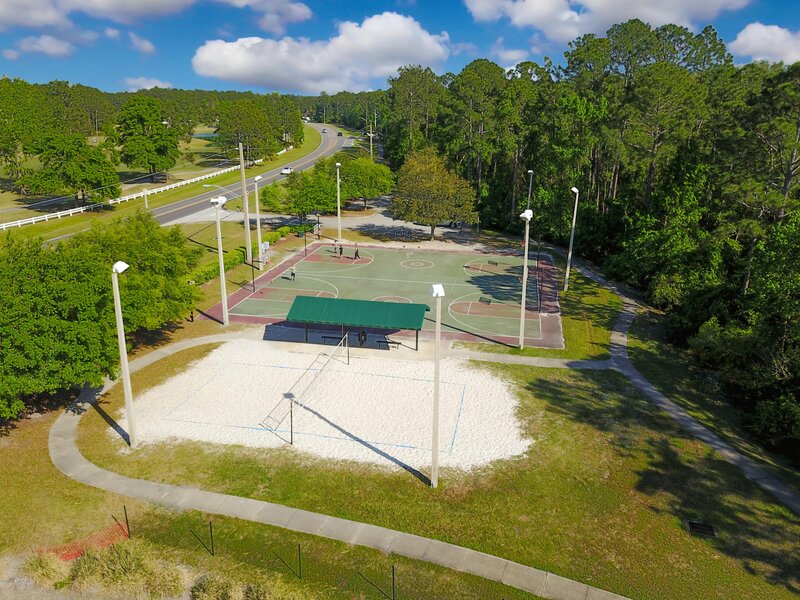 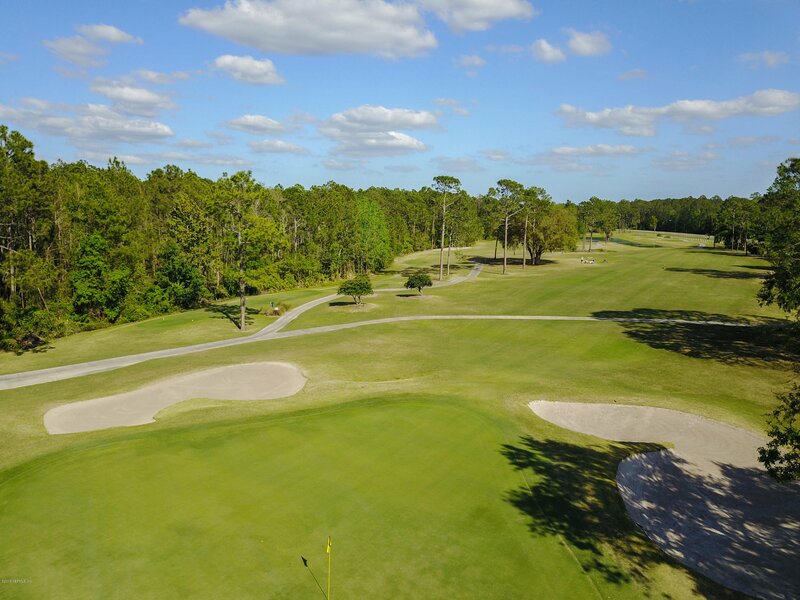 Julington Creek also boasts an 18 hole golf course and club, two community parks host to football, soccer, baseball, basketball and volleyball.